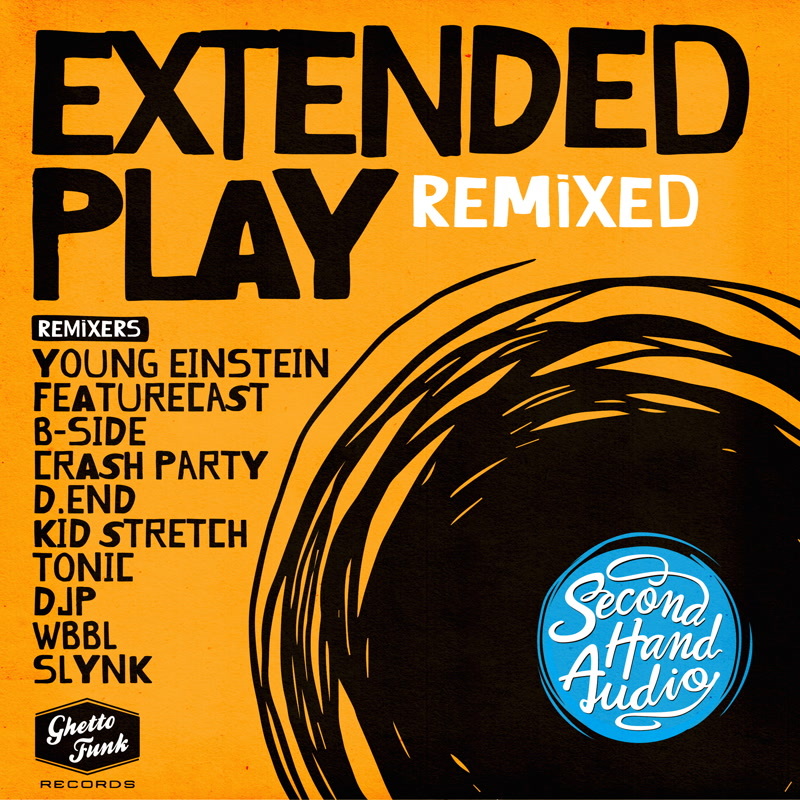 The six tracks of Second Hand Audio‘s excellent hip-hop drop Extended Play from last year get a second crack of the whip on Extended Play Remixed in which play is indeed extended to a whopping ten tracks. That’ll be no fewer than three versions of Psycho Les-featuring banger Brand New then (courtesy of Slynk, DJP and Ugly Duckling‘s Young Einstein) plus two of Want That (from Crash Party and Kid Stretch) and Got It Like That (from D.End and Featurecast) and one re-version apiece of No Pressure, Shine Bright and Set It Off from WBBL, B-Side and Tonic respectively. Cue much wobbling, of course. It’s them as stick to the boom-bap who pull things off best however. Consequently, it’s hats off to Kid Stretch who swaps Want That‘s original gritty guitars for moody strings and Young Einstein (of course) who flips the thunderous funk drums of Brand New for a laid back bit of loungin’.